In Oregon we have a unique situation with our medical marijuana law. Patients and caregivers with OMMA cards can exchange small amounts of Cannabis. This site is designed to help patients obtain reliable medicine. If you need to find medicine, wish to share your excess Cannabis, or would like to become a caregiver, please click here to sign up now. This is a free service provided by AAMC Oregon. "The Oregon Pain Management Commission believes that education, communication and participation are key to improving pain management in Oregon. We encourage interested individuals to use our Web site to provide us with their comments regarding pain management. 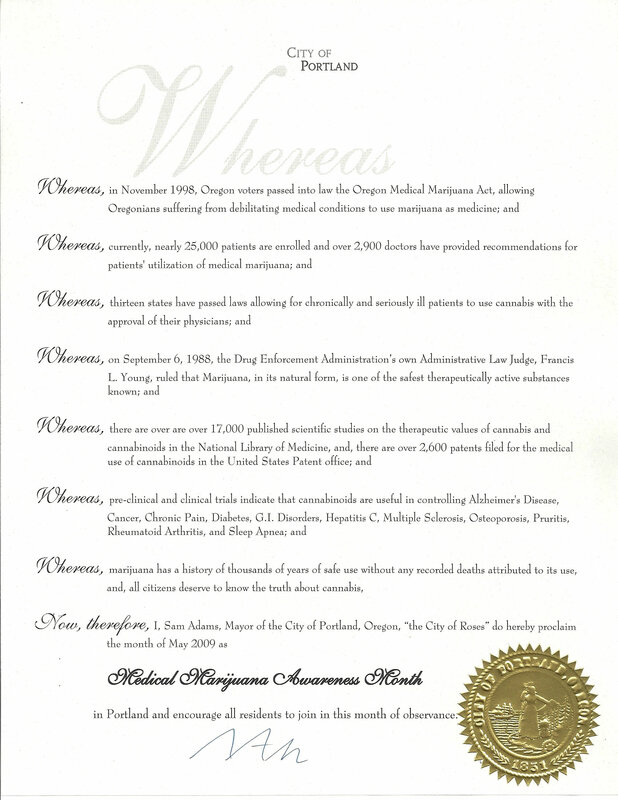 Through a collaborative effort and contributions from people affected by pain, we can make a difference in Oregon." Kathryn Hahn, a Springfield pharmacist and the commission's chairwoman. It's best to use this only when notified of upcoming floor votes. Many thanks to attorney Dan Meek for creating this.